For all the emphasis on pursuing Germany’s “national interest,” the planned new pipeline undermines the EU, Germany itself and German influence in Europe. The key question is how should one look at Nordstream 2 from a pan-EU security perspective – and not just a German national perspective? In the raw pursuit of its national interests, almost Trump-style, Germany appears to be willing to undermine the supply security of its EU and NATO allies. The political cost to Germany from pushing through Nordstream 2 in terms of loss of influence, and distrust in capitals across Central and Eastern Europe and the Baltic States is enormous. Berlin appears unaware of the direct threat to Germany’s own supply security that Nordstream 2 represents. In essence, what Gazprom seeks to do is lock the CEE states into a gas market dominated by Gazprom with no obvious way out. And indeed, Nordstream 2 will make Germany the European gas hub for Russian gas. It is also likely to result in increased liquidity in the gas market and lower German prices. German business also likes the pipeline because it sees it as leading to expanded access to Russian markets. However, this national interest perspective overlooks the very significant costs that flow from support for Nordstream 2 for German power and influence. In particular, the states of Central and Eastern Europe have a very compelling argument for their proposition that Germany is in effect assisting Russia in undermining the smaller Central and Eastern European countries’ core security interests. Their concerns are given extra validation by the opposition of the European Commission itself. Its opposition is rooted in the fact that Nordstream 2 undermines the development of a single European gas market. The key question is this: How should one look at Nordstream 2 from a pan-EU security perspective – and not just a German national perspective? Currently, the flow of Russian natural gas from Russia through the states of Central and Eastern Europe goes through the Yamal pipeline (which runs through Belarus and Poland) and the Brotherhood pipeline (through Ukraine and Slovakia). The current set-up provides the states that are located along the two gas pipeline routes with a degree of transit security. Russia cannot threaten to cut off the gas to states along the transit route without simultaneously threatening supplies to the Western European market. The point often overlooked by German commentators is that Nordstream 2 will not actually bring much more gas into the German market itself. Instead, the gas will flow onward eastward via NS2’s connecting pipeline EUGAL to the Czech Republic and Poland. The aim of this eastern flow of Nordstream gas is to flood the west to east interconnectors with Gazprom gas, effectively blocking access to the CEE gas market to its competitors. In addition, the surge of gas flows from Nordstream 2 will also undermine commercial incentives to develop alternative pipelines and new sources of supply across the CEE region. In essence, what Gazprom seeks to do is lock the CEE states into a gas market dominated by Gazprom with no obvious way out. Western Europe, for its part, will still have a diversified supplied market. The CEE states will have a gas market largely dominated by Gazprom. Astonishingly, in the raw pursuit of its national interests, almost Trump-style, Germany appears to be willing to undermine the supply security of its EU and NATO allies, as well as abandoning its European commitments to maintaining a single European market in energy. Not surprisingly, the political cost to Germany from pushing through Nordstream 2 in terms of loss of influence, and distrust in capitals across Central and Eastern Europe and the Baltic States is enormous. However, within the Berlin bubble this undermining of German power and influence has not been noticed. The Berlin bubble even appears unaware of the direct threat to Germany’s own supply security that Nordstream 2 represents. If Nordstream 2 comes into operation, then the Brotherhood pipeline will see a collapse in gas flows transited across Ukraine. The difficulty for Germany is that the remaining flows of gas transited via Ukraine will then be so small that much of the pipeline network through Ukraine will no longer be viable. Without significant gas flows, there is no economic justification for maintaining the pipeline network in working order. The network becomes worth little more than its scrap value. If in addition the second string of Turkishstream across the Black Sea to Bulgaria or Greece is built, there will be almost no Russian gas flowing through Ukraine at all. It is hard to imagine that Chancellor Merkel would seriously want to subscribe to such a scheme. The collapse of gas flows through Ukraine is of vital concern to Germany because of the knock-on energy security consequences. Germany would be going from having three different routes, two of which are land-based, bringing Russian gas to Germany to just two, only one of which is on land. Riskier yet, one of those routes (Nordstream 1 & 2), runs through a narrow two kilometer channel in the shallow Baltic Sea. It will now be responsible for bringing three-quarters of those gas flows to the German shore along that one narrow vulnerable sea-borne route. The threat to Germany here is not from any deliberate Russian gas cut off. It is the danger of creating a narrow choke of so much of Germany’s energy resource in a shallow sea,when the alternative safer land based Brotherhood supply route which Germany has relied upon goes out of commission. After all, it is not difficult to imagine a ship’s anchor hitting the pipes; rupture by munitions explosion (the pipe runs through two World War Two munitions dumps) and terrorism. By making light of all these concerns, Germany may be setting itself up for a perfect storm. It has sowed distrust among quite a few allies. That, in turn, will make it more difficult for Germany to find support for new EU policies or in any crisis. Already, the Berlin bubble does not make the connection between resistance to refugee quotas and Nordstream 2. Beyond that issue, CEE capitals can credibly take the view that if EU law and policies are not to be applied uniformly and fairly in respect of the EU’s energy markets, they are not going to accept any further development of EU law that favors Germany. At a minimum, they can argue that the German government always likes to talk of EU obligations clad in the law when its own interests are concerned. In the reverse case, Germany displays a very cavalier attitude about European law and the obligations that implies for Germany. 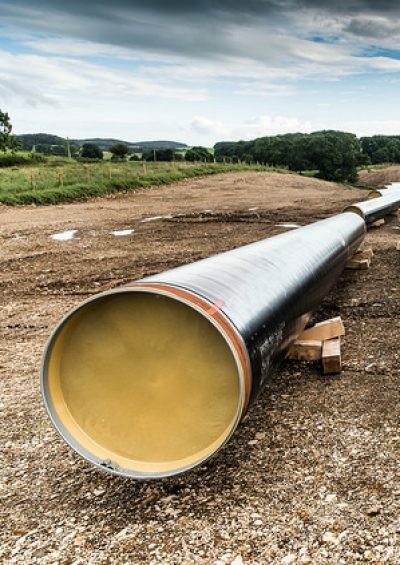 One counterargument that is often heard in the German debate is that all these arguments against Nordstream 2 are a cover for a U.S. attempt to control the European gas market. However, as argued above, the questions raised about Nordstream in this article concern key strategic elements of German and European interests. They have nothing in common with U.S. interests, especially any U.S. grand design to wean the Europeans off Russian gas and/or get the continent hooked on U.S. LNG. Assessing Europe’s strategic interests appropriately can be done without raising any specter of any made-by-Washington gas dependency. Furthermore, such a specter is fanciful in a world awash with natural gas from now over a dozen LNG sources, plus Algeria, Norway and of course Russia. Editor’s note: In the interests of full disclosure, it should be noted that Dr. Riley advises PGNIG and Naftogaz.